And last but not least. . .the first Fallsmead residents began moving into James Spring Court and the nearby section of Greenplace Terrace in late December 1972, just a few days before Christmas. Source: Fallsmead 25th Anniversary Book. 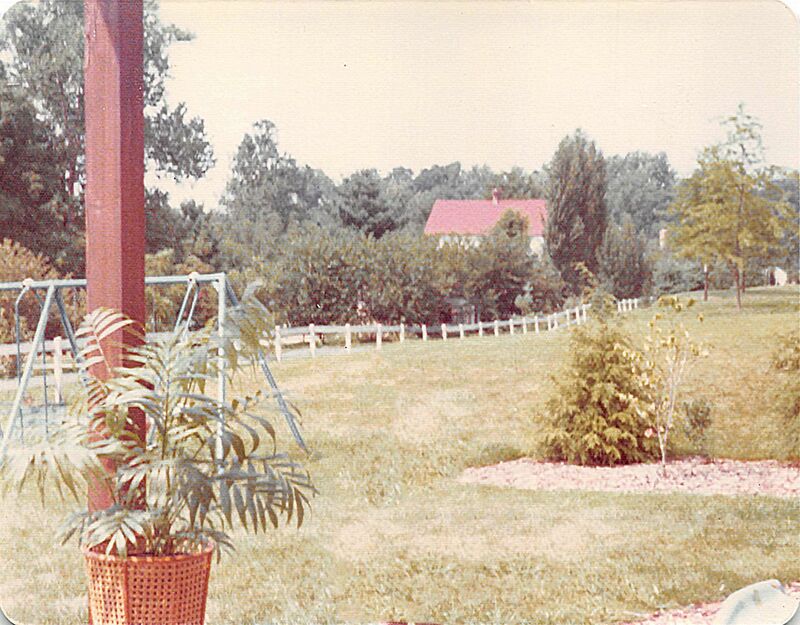 Scott Farm in 1972 looking across what is now Wootton Parkway from 1434 Fallsmead Way. Photo Courtesy of the Fallsmead 25th Anniversary Book from the Fallsmead History Photo Album. 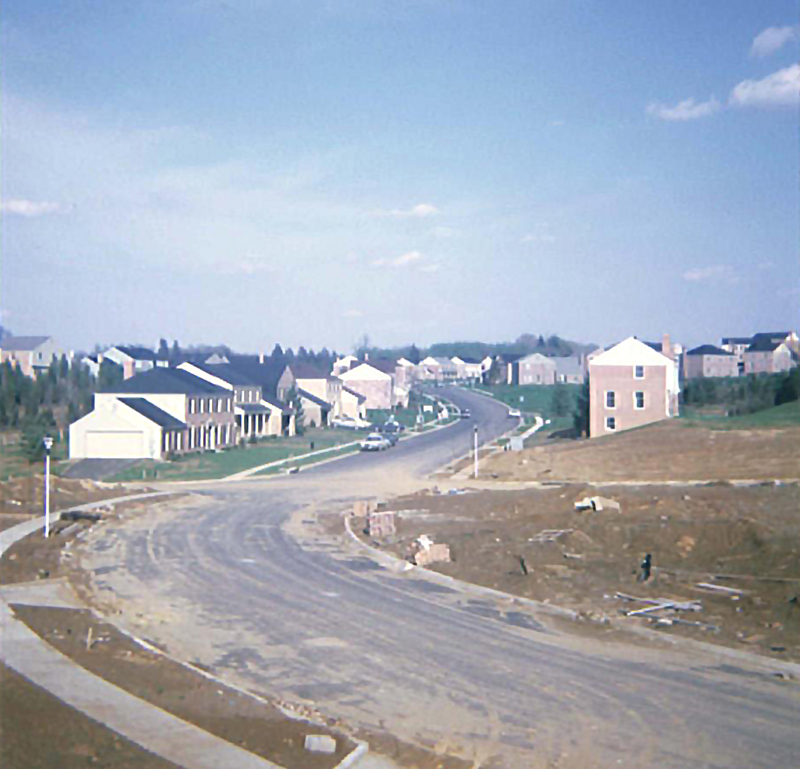 Construction of houses on James Spring Court in 1972. Photo Courtesy of Christine Navarro from the Fallsmead History Photo Album. Ever wonder why you tall residents can't comfortably have a treadmill in your house, or why those of you who have them always have to pick the shortest Christmas tree on the lot in order for it to fit in your house? According to early Fallsmead residents, Clarence Kettler, one of the Fallsmead developers, was five feet, two inches tall, and the original (very short) bathroom sinks were set for his height. Perhaps that is also the reason why Fallsmead houses only have 7 1/2 foot ceilings instead of the more standard 8 foot minimum ceilings that most houses have today. . . Source: Fallsmead 25th Anniversary Book. 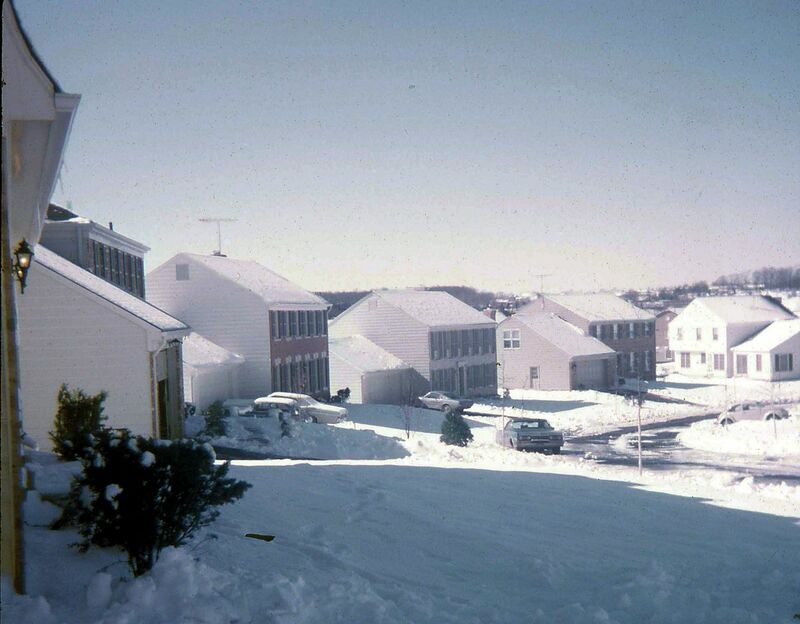 Photo Courtesy of The Martin Family from the Fallsmead History Photo Album: Snow in 1972 looking from 1132 Pipestem Place to 1434 Fallsmead Way. 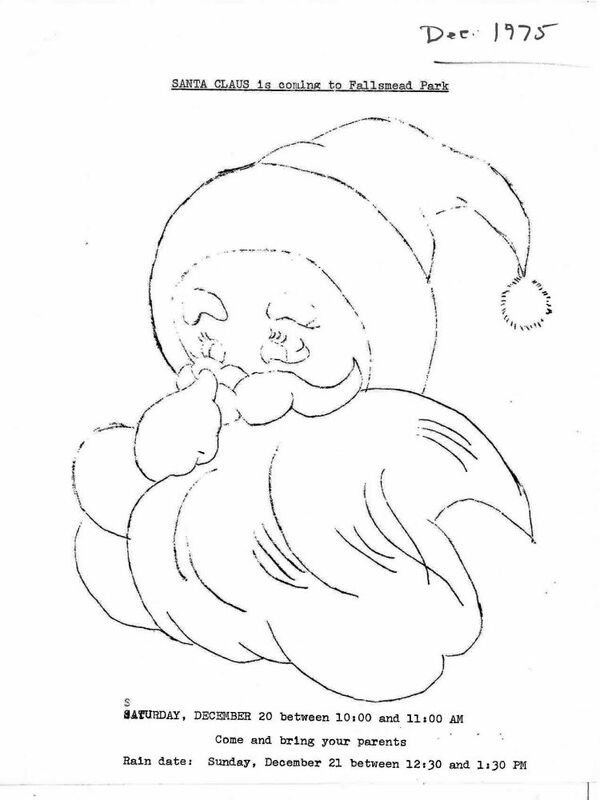 Santa made his first appearance at a Fallsmead holiday party on December 20, 1975. 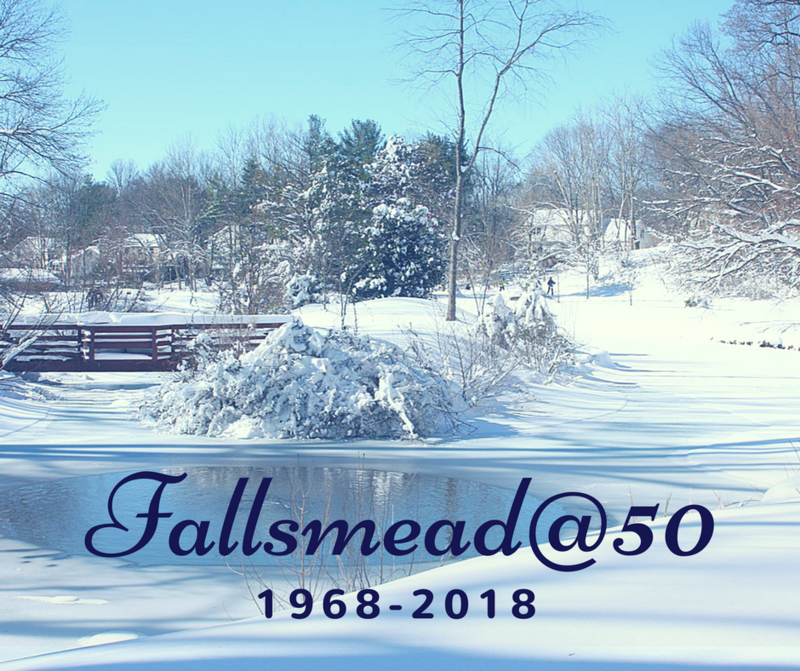 The holidays in Fallsmead have been celebrated together as a neighborhood ever since! 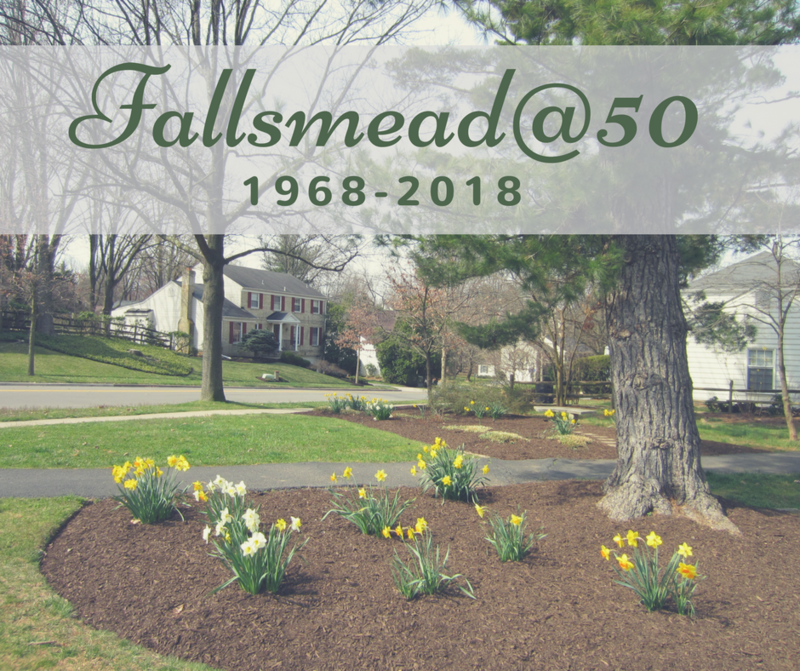 The first Fallsmead residents to serve on the Fallsmead Board - Jerry Effer, Jack Cove, and Charlie Bauman - were appointed to the Fallsmead Board on December 12, 1968. 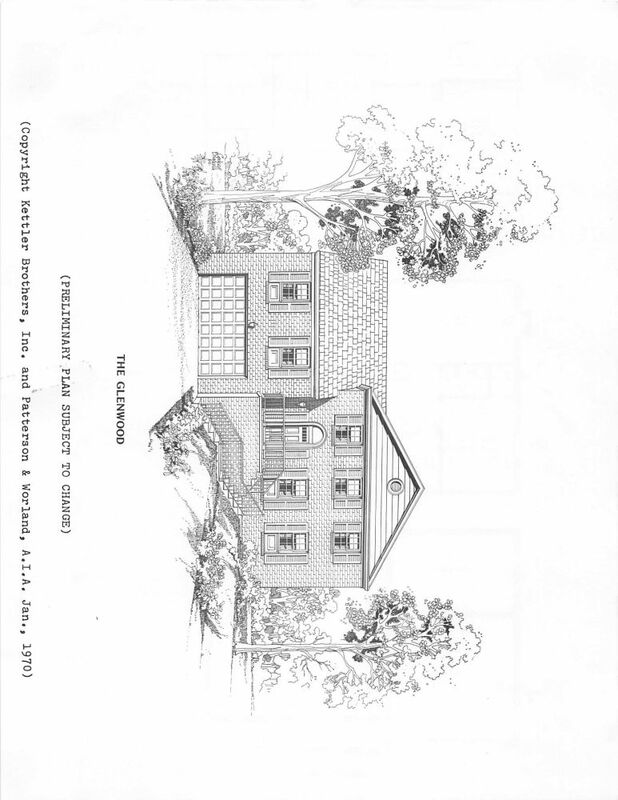 Prior to that time, the Fallsmead Homes Corporation Board was entirely comprised of representatives from Fallsmead's developer, Kettler Brothers. 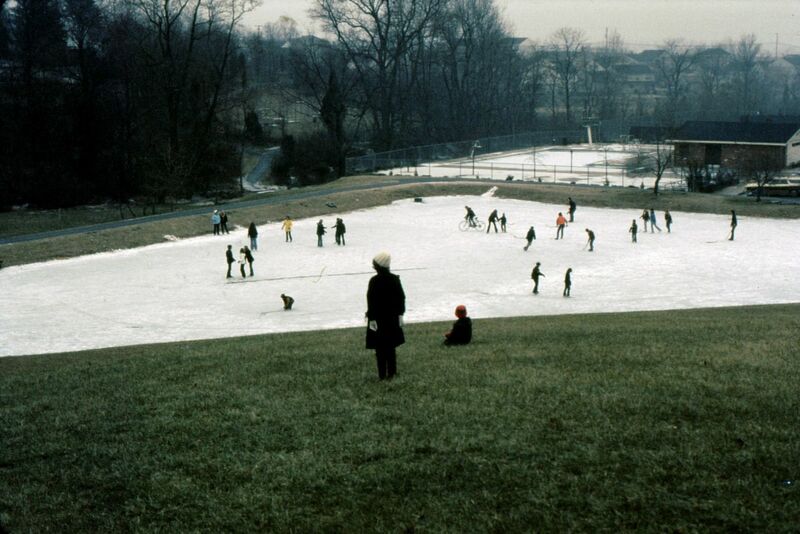 Ice skating on the pond in the 1970s (because it is cold out, and I don't have another picture that would fit here better, and this is something the Board would be very concerned about nowadays!). Photo Courtesy of Christine Navarro from the Fallsmead History Photo Album. Source: Fallsmead 25th Anniversary Book and December 1968 Board meeting minutes. Ballots to approve Fallsmead's new bylaws and covenants were originally due back on December 2, 2009. Because a quorum was not met at that point, the vote was extended to January 31, 2010. By the end of January 2010, 85.2 percent of the community had voted, and the new bylaws and covenants were approved by a vote of 202-46. They officially took effect February 2, 2010, and remain in effect today. 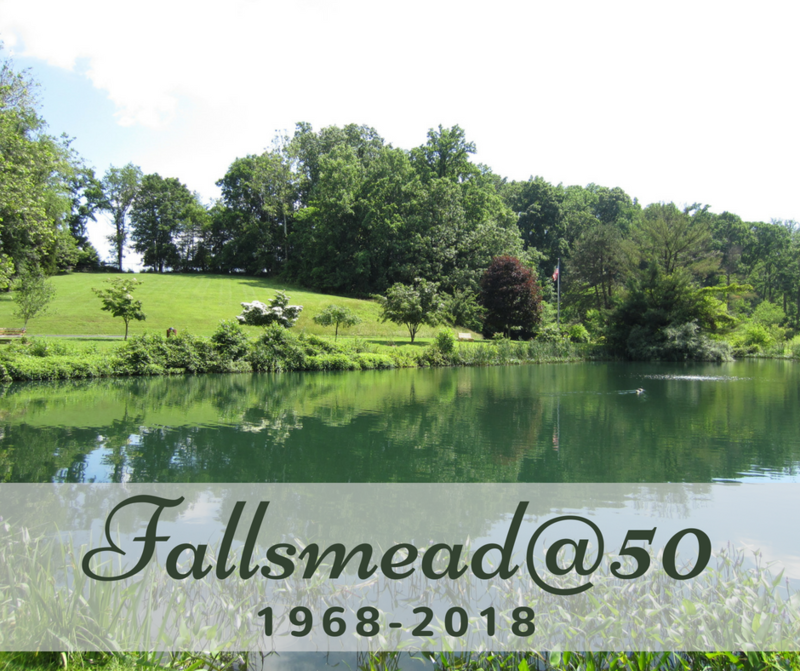 On November 30, 1981, Fallsmead residents voted to approve the incorporation of the 26 "New Fallsmead" homes (Pipestem Court and lower Pipestem Place beyond the pond entrance) into Fallsmead. 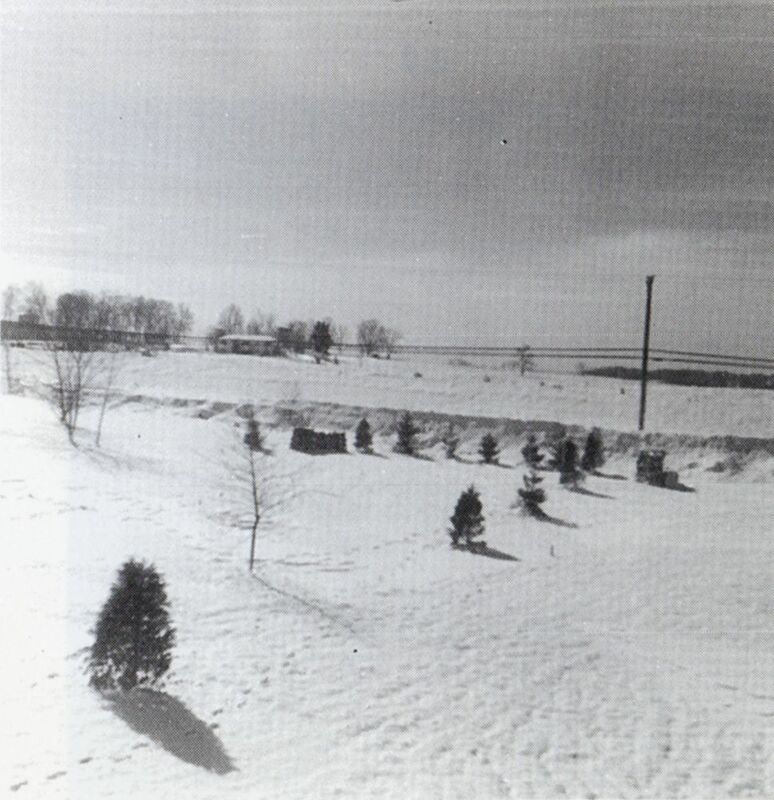 The legal annexation agreement wasn't approved by the Board until June 28, 1982, after further negotiations with New Fallsmead developers Berger-Berman. Source: Fallsmead 25th Anniversary Book. All photos courtesy of Carol Starley from the Fallsmead History Photo Album. 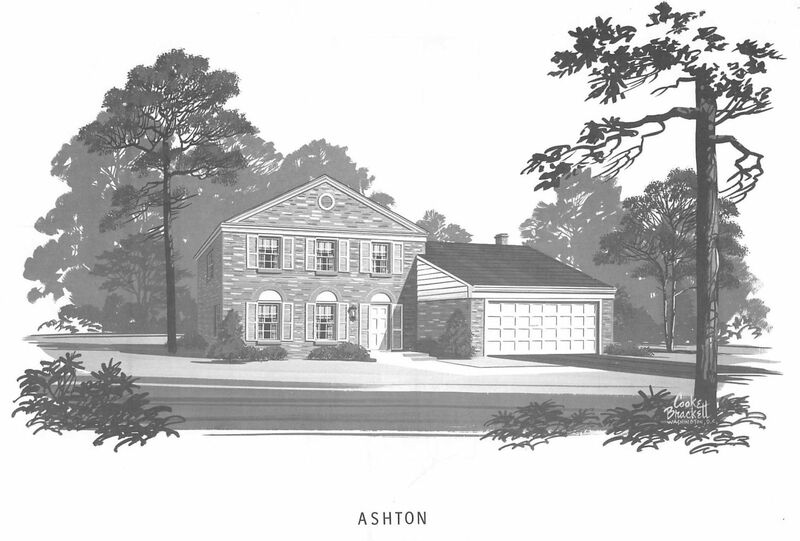 Ewing property from 1419 Fallsmead Way in 1974 (now lower Pipestem Place). 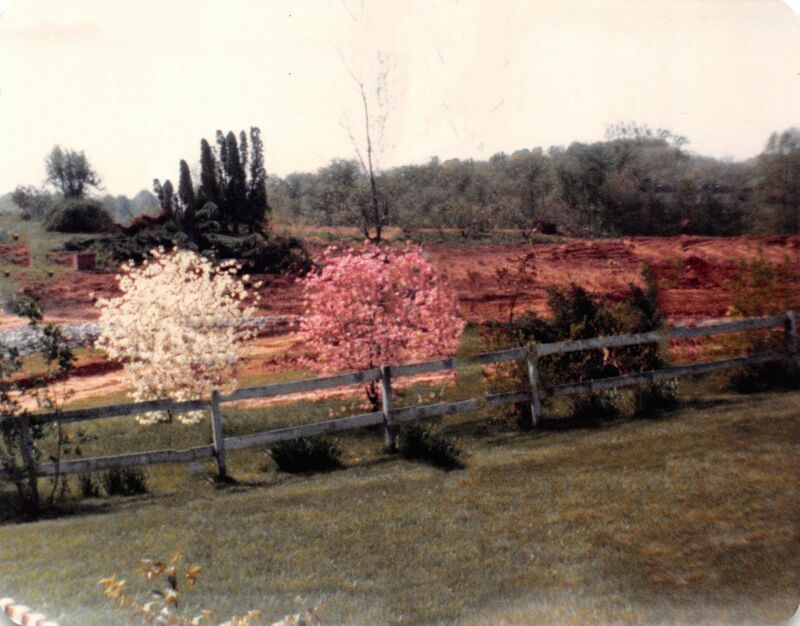 Ewing Farm being bulldozed to make way for New Fallsmead May 1982 (from 1419 Fallsmead Way). The first emails were sent out from the Fallsmead neighborhood email list in November 2000. The list was created by Jim Beller in 2000 and has been run by Jim ever since. 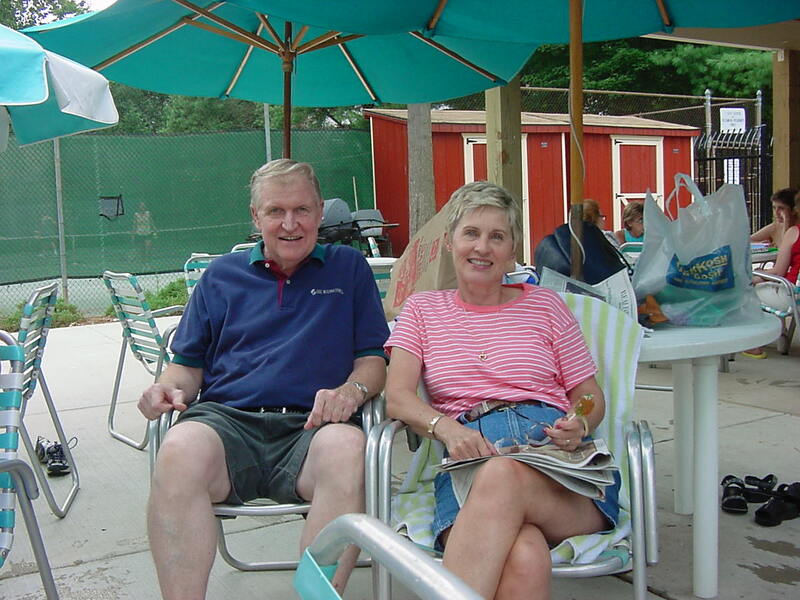 Photo Caption: Jim and Monica Beller poolside in summer 2001. Photo courtesy of Jim and Monica (never expecting that it would someday be used for this purpose!). 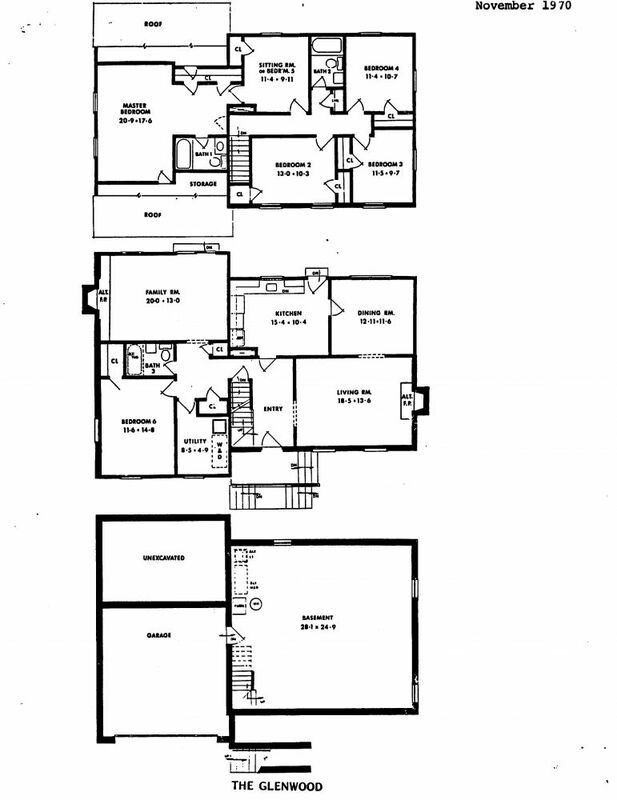 Many original Fallsmead owners used the Kettler Brothers house model drawings and floor plans to help them decide which Fallsmead house they wanted to buy. 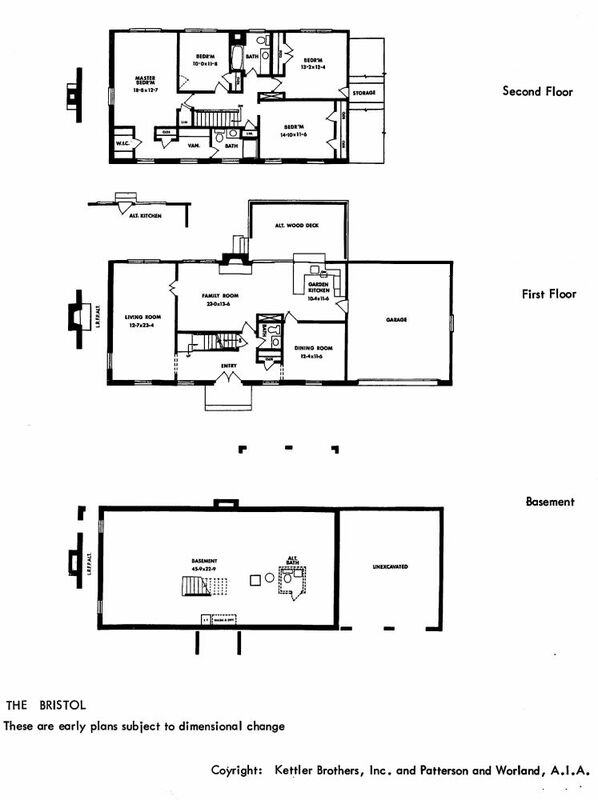 The house drawings and floor plans were updated periodically as the neighborhood was being built to account for design changes for specific models. 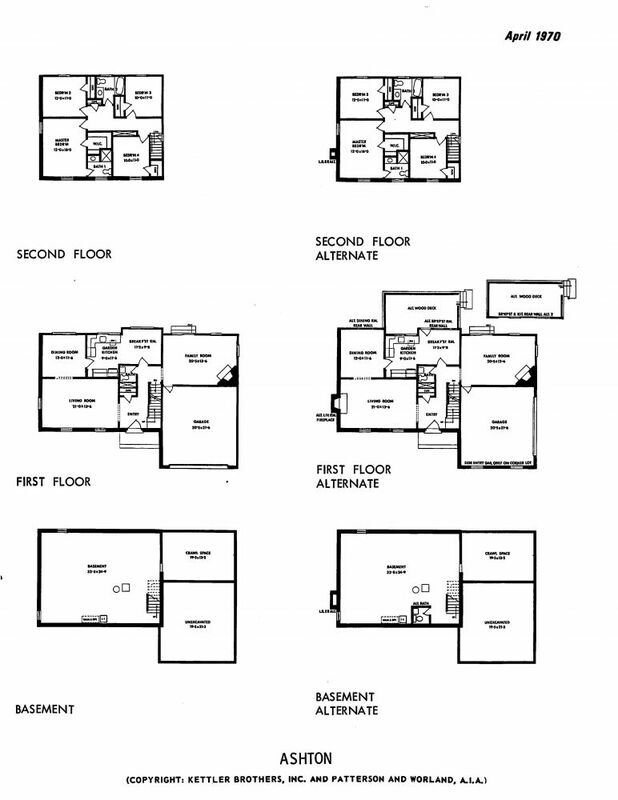 Check out all of the original model drawings and floor plans that we have in our Fallsmead archives on the Fallsmead History page right here at fallsmead.org. A proposal to add two new tennis courts on the field between Old Creek Court and the playground using a special assessment of $85 to be collected from all Fallsmead residents was defeated at a community special meeting on November 5, 1976, ending three years of debate over whether to add more tennis courts in Fallsmead. 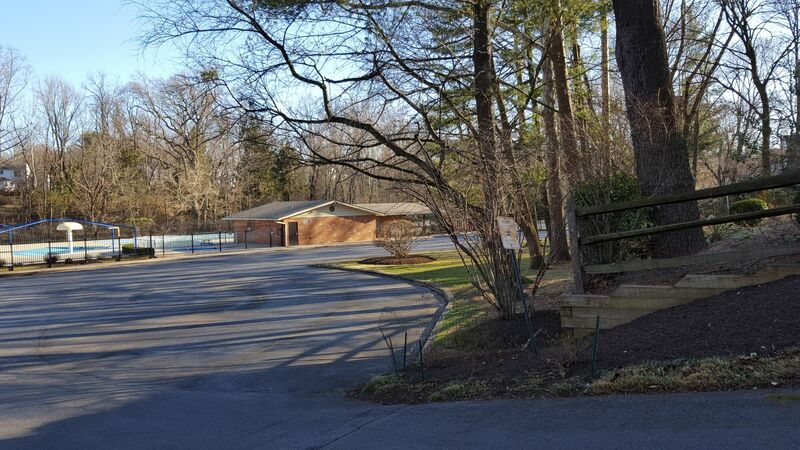 The very first Fallsmead neighborhood website, available at www.rocknet.org, was created by Jim Beller and the Communications Committee in November 1999. The new Fallsmead web pages - which included information about Fallsmead and its amenities, Board, and Committees - were part of the Rockville Community Network (ROCKNET), a non-profit computer-based network designed to promote communications between citizens, community groups, businesses, and the Rockville city government. Dave Carter was the longest-serving president, serving 3 terms as president from 2009-2011. Jim Marrinan (president in 1979) is the dean of presidents who still live in Fallsmead. Carol Starley was the first female president in 1993 (yes, that counts as the last 3!). The Sumberg family, the first residents to move into the second section of Fallsmead (which began at Fallsmead Way and Infield Courts North and South), moved into their new home at 1309 Fallsmead Way in October 1969. 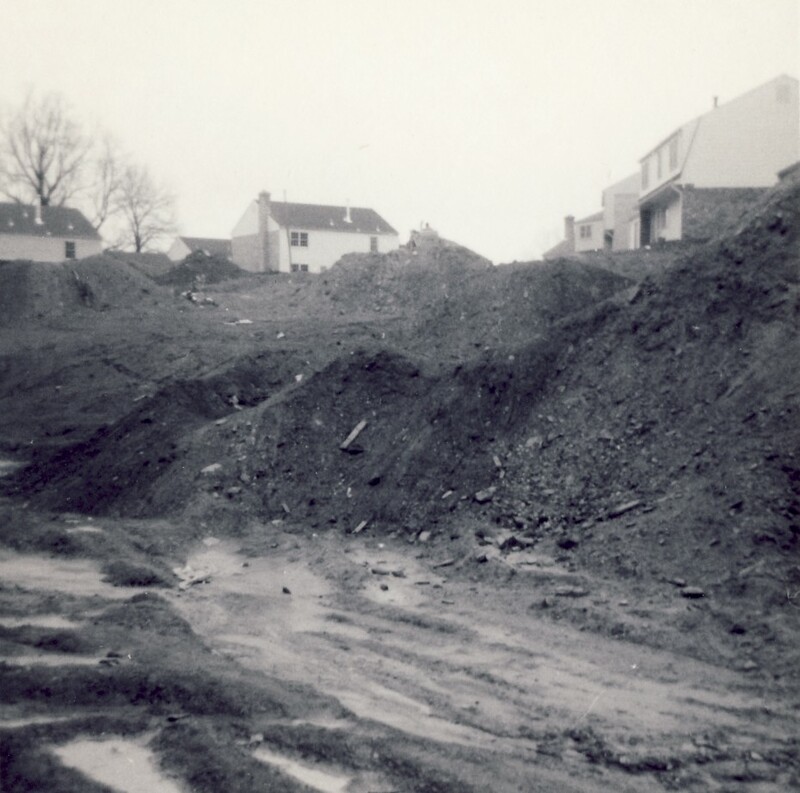 At the time, there were no trees, sidewalks, or streetlights in that section of Fallsmead, and Fallsmead Way only extended to what is now the end of the 1300 block of Fallsmead Way at Pipestem Place. 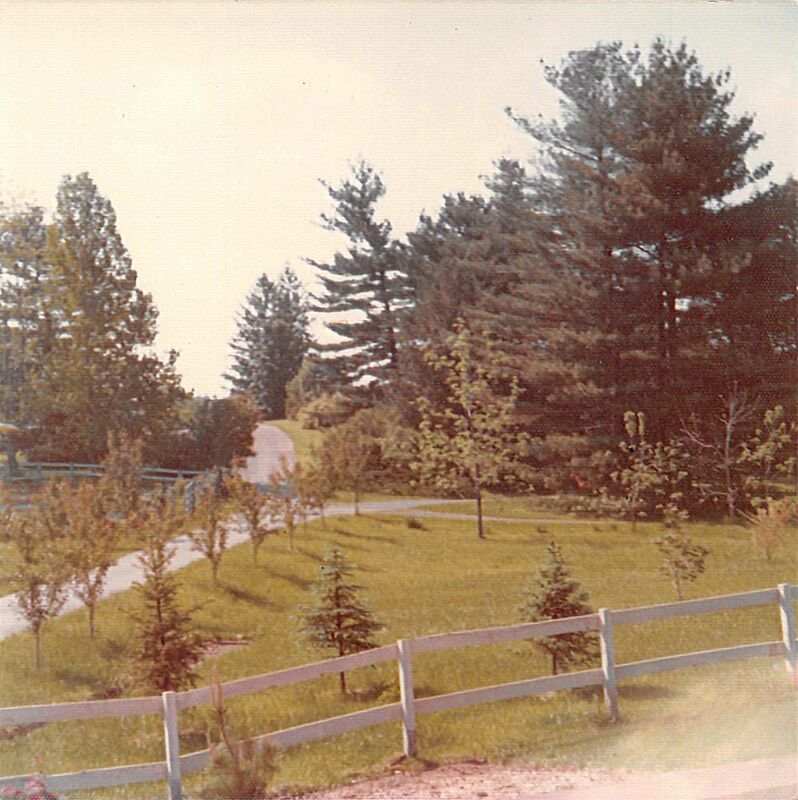 Photo Caption: Fallsmead Way at Pipestem Place probably early 1970. Photo Courtesy of Jim Morgan from the Fallsmead History Photo Album. Source: Fallsmead 25th Anniversary Book. Buddy McCracken, an 18-year old Wootton High School graduate who lived on Duncan Branch Court, was shot and killed at the end of Greenplace Terrace on October 11, 1974. Buddy was trying to stop a group of teenagers from tampering with a fire hydrant when one of the kids pulled out a gun and shot him. 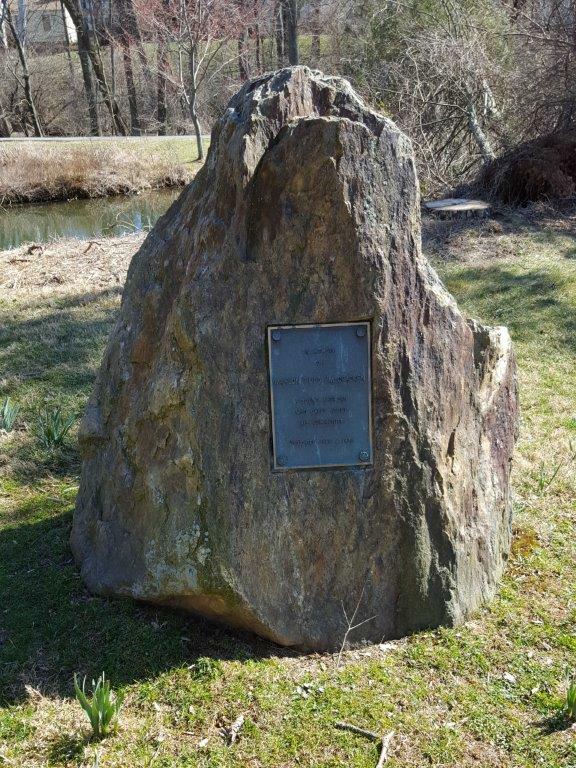 A memorial to Buddy was erected near the flagpole in Fallsmead Park and still stands there today. The scoreboard and baseball field at Wootton High School, where Buddy had played on the baseball team, were also named in his honor. This Month In Fallsmead: Let's Play! 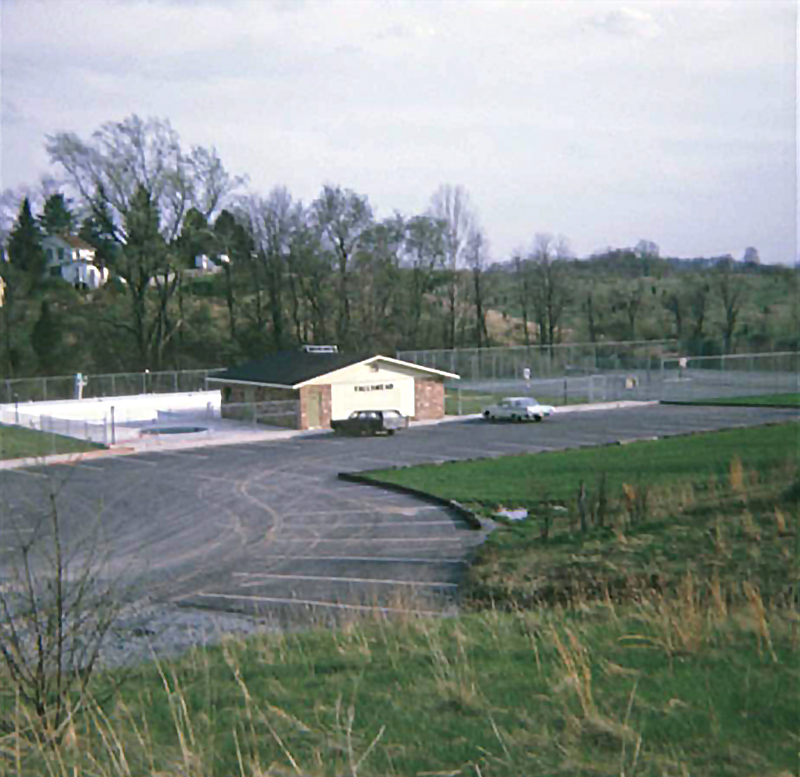 The original Fallsmead playground was installed in October 1973. Although some new equipment was purchased in 1993, most of the original playground was still here until 2013, when it was finally dismantled and completely replaced with new equipment. Photo Caption: The old playground in June 2012. Photos courtesy of Melani Harig. Early every Wednesday morning, a few walkers set out from Fallsmead, heading for Woodside Deli in Rockville’s Town Center to attend the Fallsmead Men’s Breakfast. By the time the walkers arrive at the deli, other folks have already arrived and have several conversations going simultaneously. Soon, folks begin placing custom breakfast order with the waitress, who must patiently compete with ongoing discussions, yet quickly get all breakfast orders to the kitchen. Breakfast discussion topics include current events, sports, Fallsmead news, vacation reports, or other news. Often, someone will pull out a mobile to fact-check something. No question goes unanswered! The breakfast is fun. Some say it contributes to a healthy retirement to have the regular social interaction with such an interesting group! Stan Bissey, the Breakfast founder, and a few Fallsmead neighbors started meeting for breakfast in 2005. The weekly event has since grown to about 12-16 persons, sometimes more. 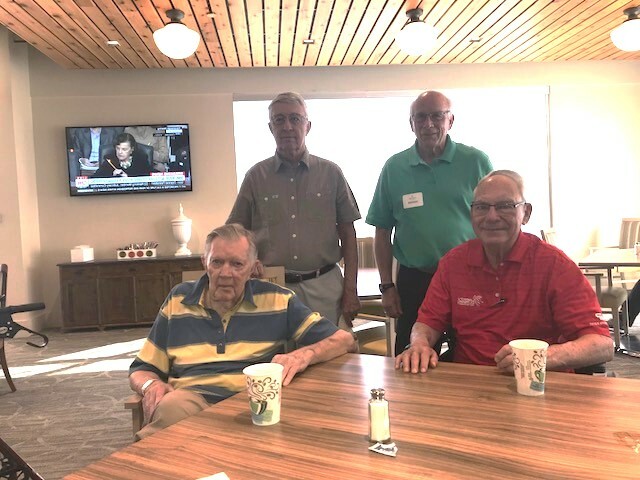 More than 40 Fallsmead men have attended the breakfast at least once since it started. The breakfast venue has only changed three times over the years, always due to some restaurant change. When a venue change was needed, breakfast regulars quickly came up with a good alternative that allowed our record of never missing a week for unplanned reasons to continue intact. The group started with a mix of retired and nonretired men. However, now only a few are still in the workforce. 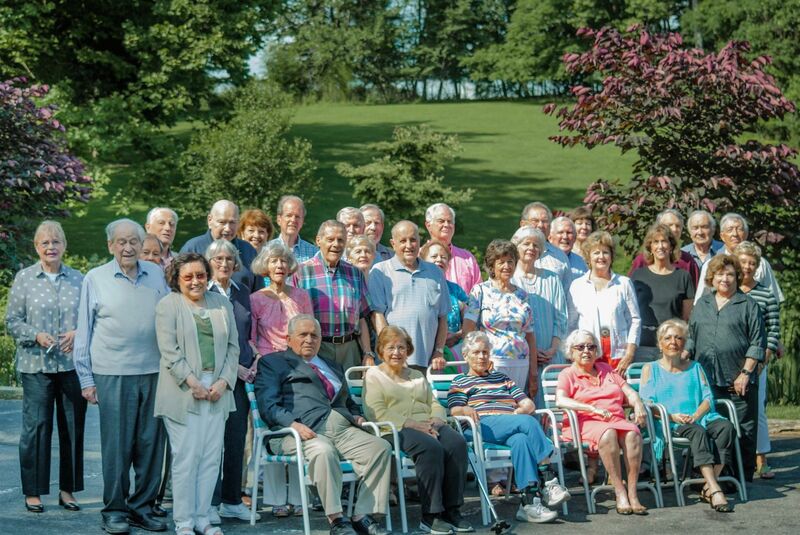 All are current or former Fallsmead residents. Photo Caption: Pictured here from left are Walt McKee and Erich Baumgartner (front) and Tom McKenna and Stan Bissey (rear). They are planning a future breakfast. Photo courtesy of Tom McKenna. There are 33 Kettler-built houses (those built in 1968-1973) in Fallsmead that are still occupied by their original owners. Two other Kettler original owners still live in the neighborhood, but in a different house. 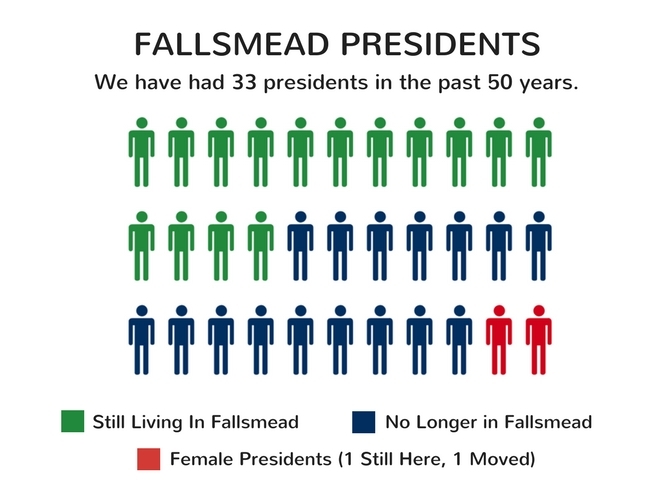 Fallsmead original owners June 2018. Photo courtesy of Marilyn Emery for the Fallsmead@50 photo book. 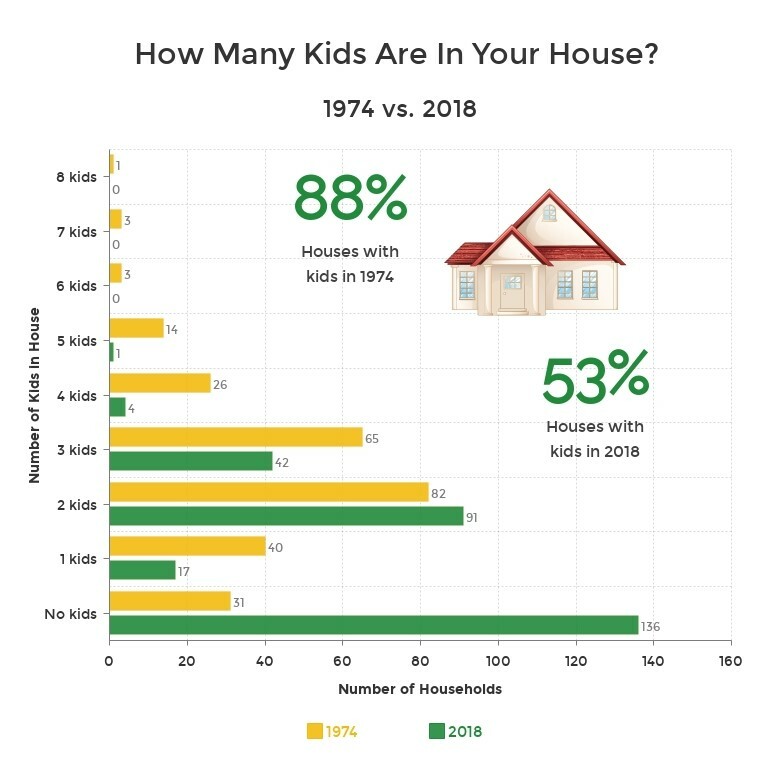 How Many Kids Live in Your House? Can you imagine having 8 kids living in your Fallsmead house? 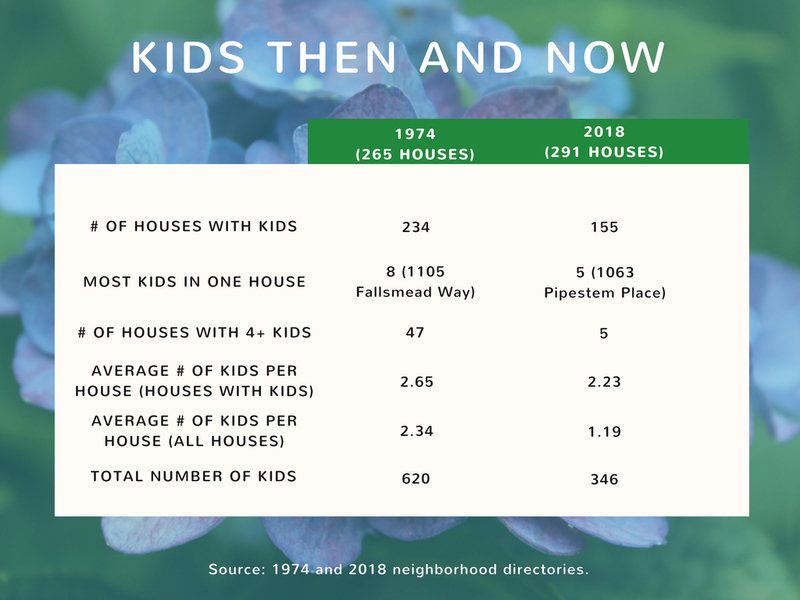 Back in 1974 (the first year all 265 original Fallsmead houses were included in a neighborhood directory), there was one house with 8 kids living in it, and 47 houses with 4 or more kids; this year, one house has 5 kids living in it, and only 5 houses have 4 or more kids. More surprisingly (at least to me! ), 88% of houses in 1974 had kids living in them; in 2018, only 53% of Fallsmead homes have kids living at home according to the directory. Source: 1974 and 2018 Fallsmead neighborhood directories. 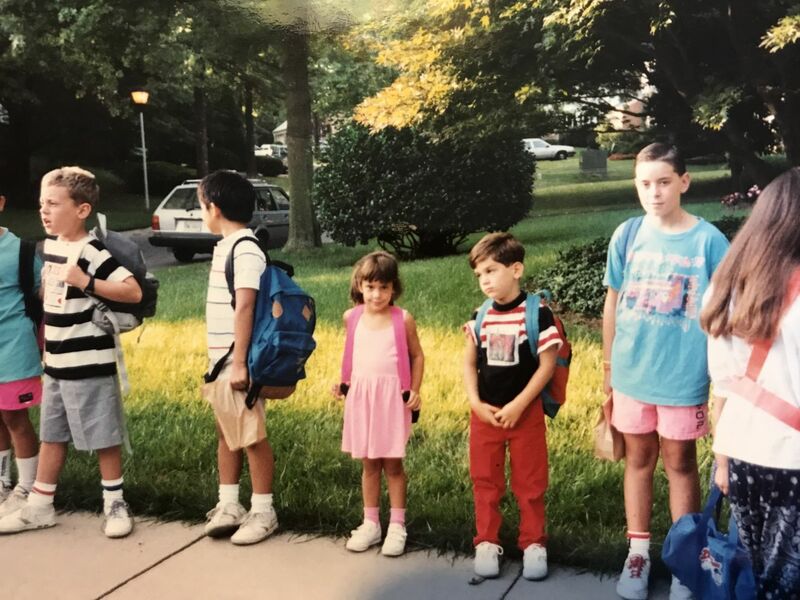 Elementary school kids living in Fallsmead attended Lakewood Elementary from 1968-1971, but switched to Cold Spring Elementary when that was built in 1972. Fallsmead Elementary became the neighborhood elementary school when it was built in 1974 (it was K-6th until 1994). High school and middle school students in Fallsmead first attended Richard Montgomery High School and Julius West Middle School (then a junior high), but switched to Wootton High School and Robert Frost Middle School (then an intermediate school/junior high) after those were built in 1970 and 1971, respectively. 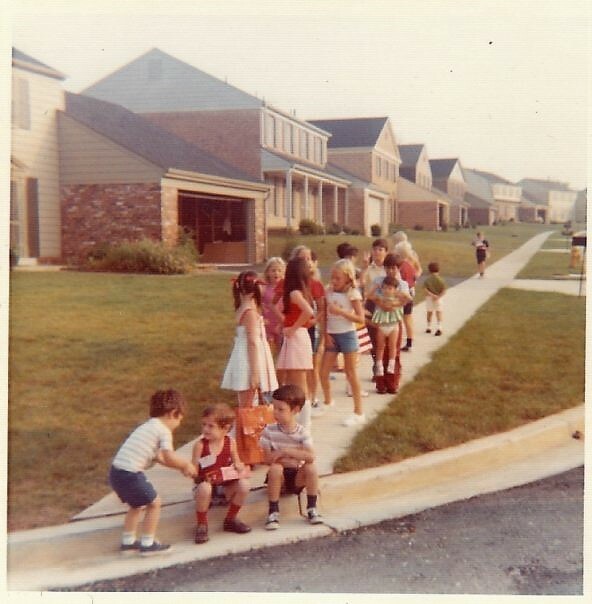 Corner of James Spring Court and Greenplace Terrace on the first day of school in September 1973. Photo courtesy of Tony Buckley from the Fallsmead History Photo Album. Bus stop at the corner of Infield Court South and Fallsmead Way in 1990. Photo Courtesy of Stacy Shiffman from the Fallsmead History Photo Album. Fallsmead held a tennis tournament and Family Day at the pool on August 30 and 31, 1969, to celebrate the end of the first season of Fallsmead's pool and tennis courts. The tennis tournament on August 30th was for kids ages 18 and under. The Family Day on August 31st included water polo, kids and adult swimming races, running races, a bubble gum blowing contest, newspaper races (whatever that was), a marshmallow contest, adult Dixie cup races, and an adult egg toss contest. Fallsmead pool house in 1970 (above, courtesy of Jim Morgan) and 2018 (below, courtesy of Melani Harig). Photos from the Fallsmead Then and Now photo album. Source August 1969 Fallsmead Forum. 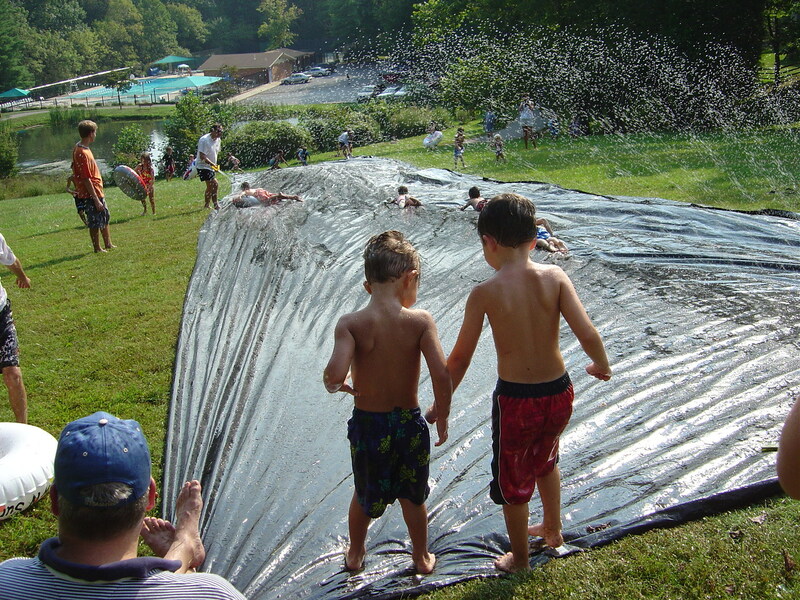 Fallsmead was host to several "gigantic slip-n-slide" events on the big hill next to the pond in the early 2000s. 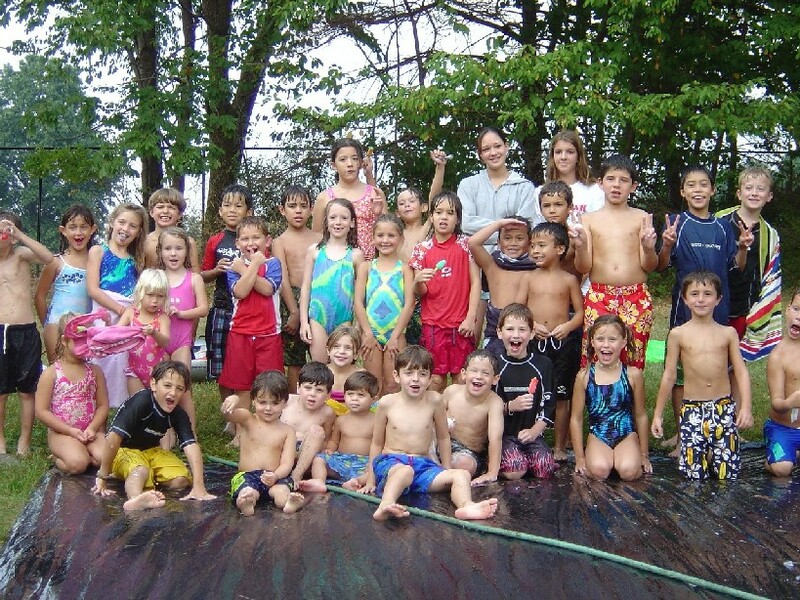 Between 2003 and 2005, the slip-n-slides were Fallsmead's big late-August end-of-summer parties where everyone was encouraged to "come prepared to get wet and have a blast!" Photos courtesy of Mark Fellman from the Fallsmead History Photo Album.